now and then doesn’t hurt. 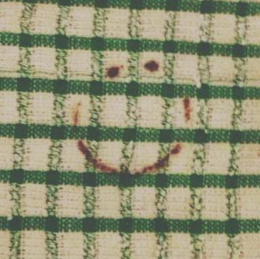 That’s Chocolate Stained Hand Towel Smiley. Over on a month full of Smiley Silliness it’s International Tongue Twister Day. I was never any good at these, yet felt they were good fun. You don’t have to be good at something to have fun. So for instance no more saying, “I can’t dance.” Go on. Get up and awkwardly move your body to the beat (or not). Dancing is fun! And you guessed it, it’s Dance Day. Today is also Magazine Day. I for one am sad that the magazine seems to be dying. There’s something so nice about anticipating the monthly delivery, persuing things that peak your interest and even tearing out things you want to save. I suppose you can still do all those same sorts of things with an online version, but it just isn’t the same. A big happy birthday goes out to Joni Mitchell, born this day 1943. In high school I played her albums incessantly. Also celebrating getting a year older today are Christopher Knight (1957 aka Peter Brady) and Morgan Spurlock (1970). 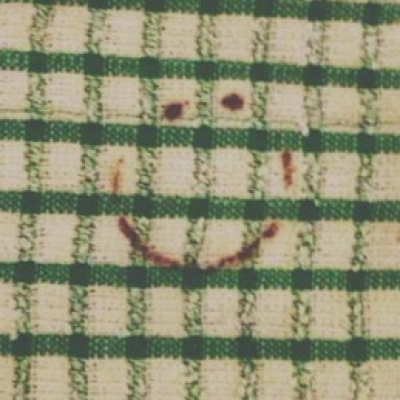 Plus, as is often the case, the Chocolate Smiley you get in the Smiley-a-Day emailer is different from what you see here.